Those of you that are fans of the Rat Army logo can now grab six different sizes of Rat Army wallpapers on the EnderWiggin.net Wallpapers page! 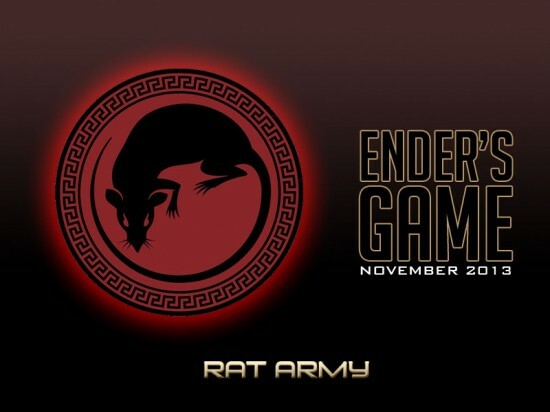 Although the Rat Army logo is red/black, the Rat Army colors in the book are brown/black, thus the brown and black background on this one! Enjoy!